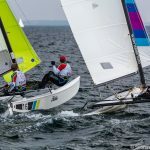 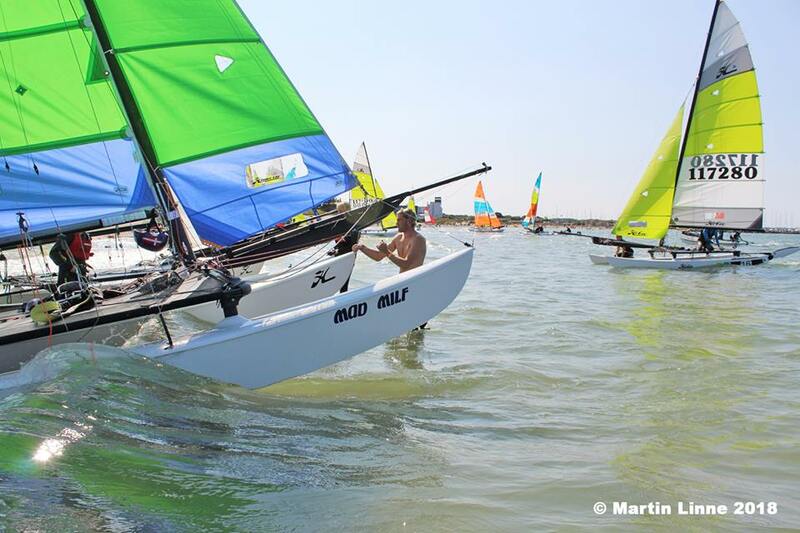 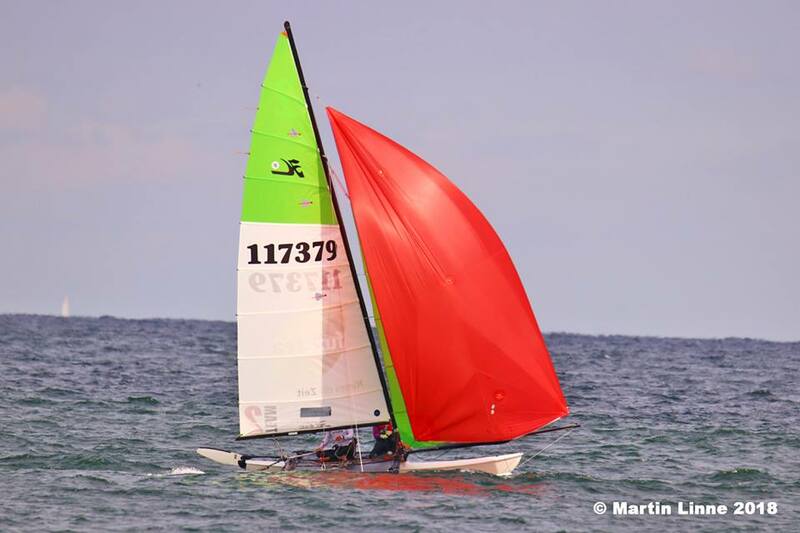 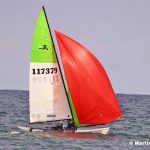 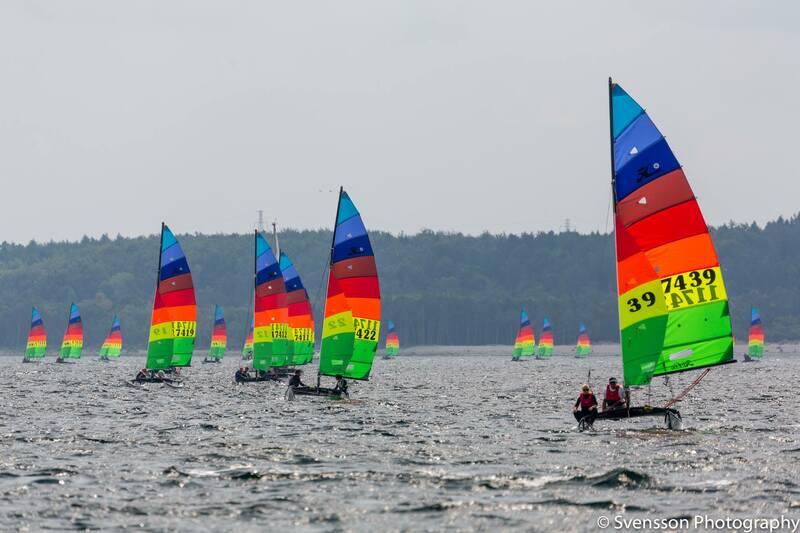 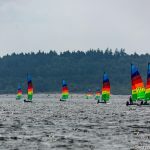 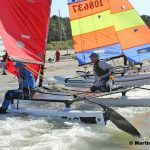 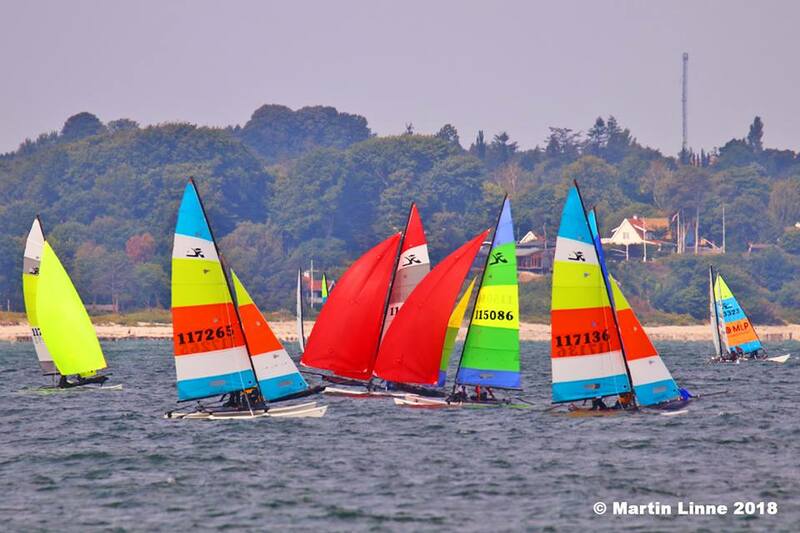 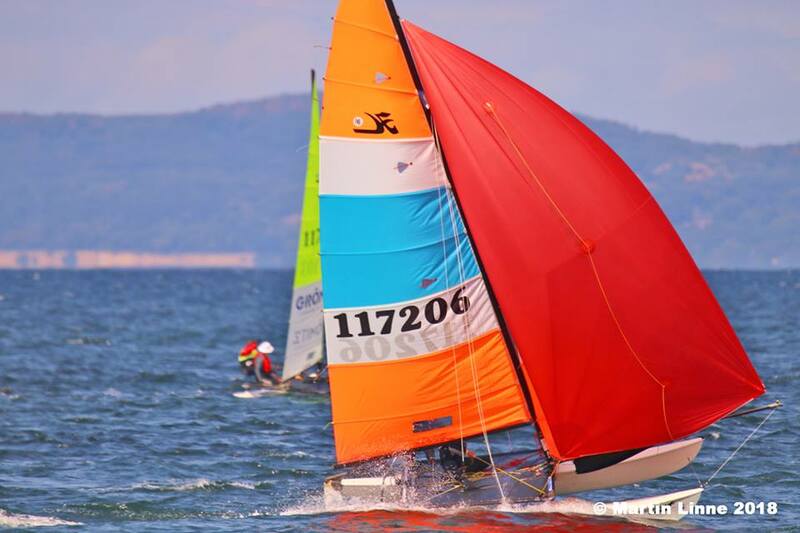 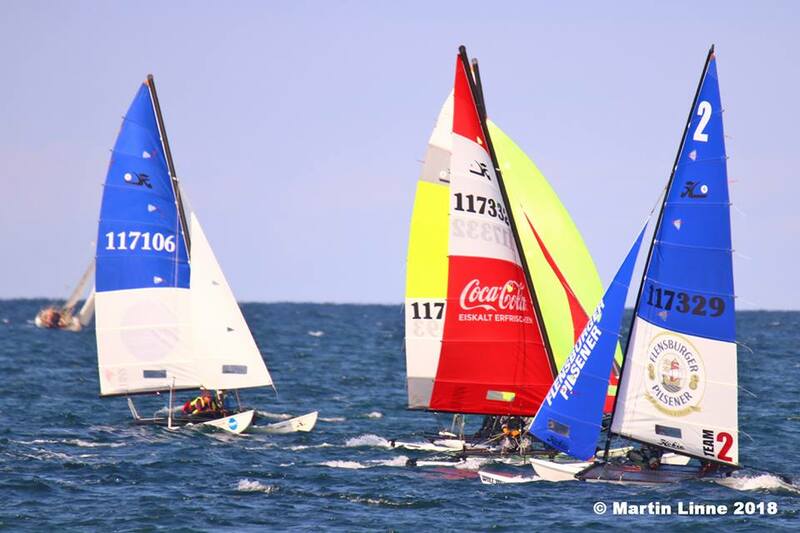 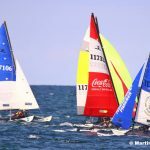 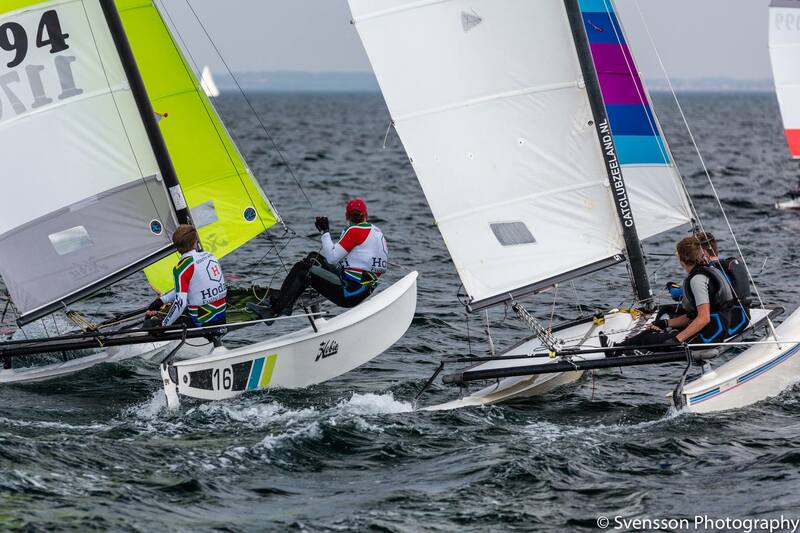 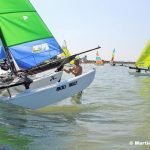 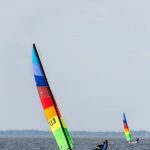 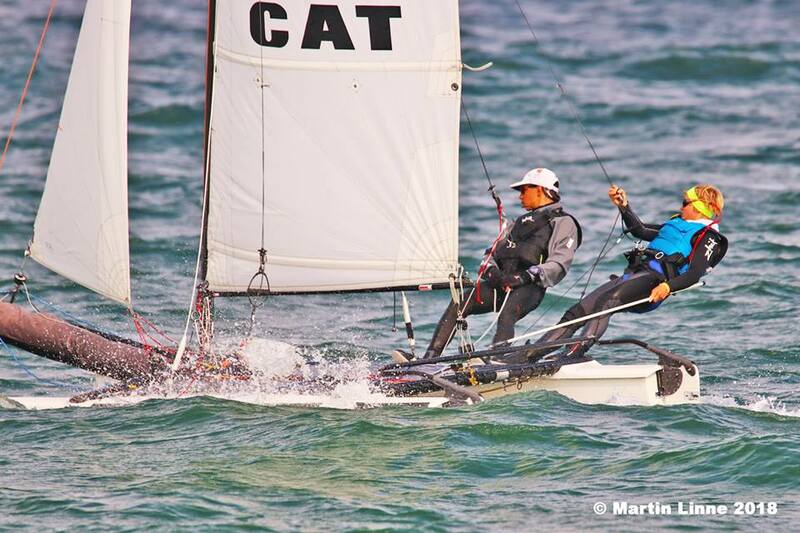 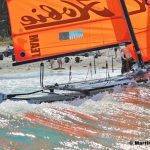 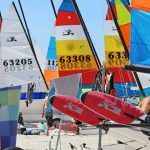 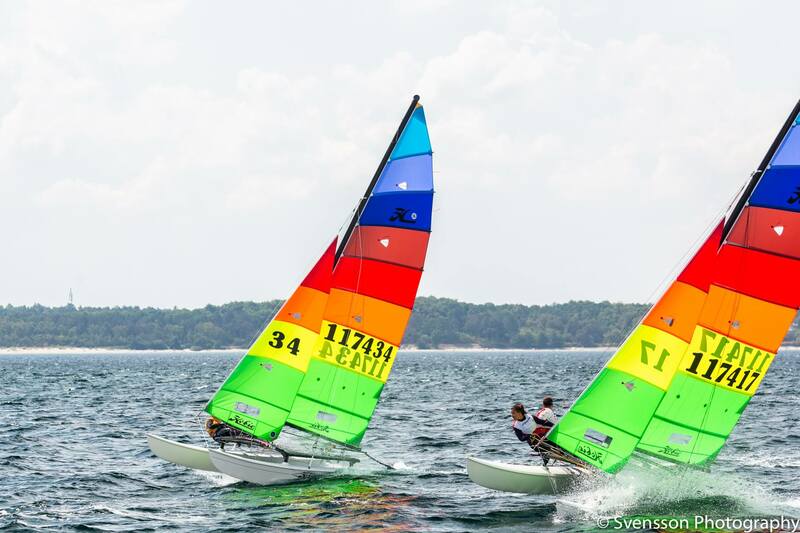 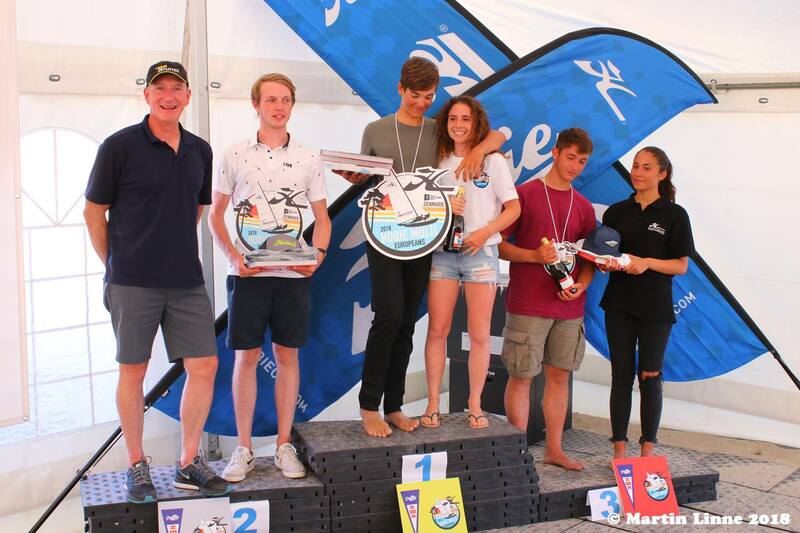 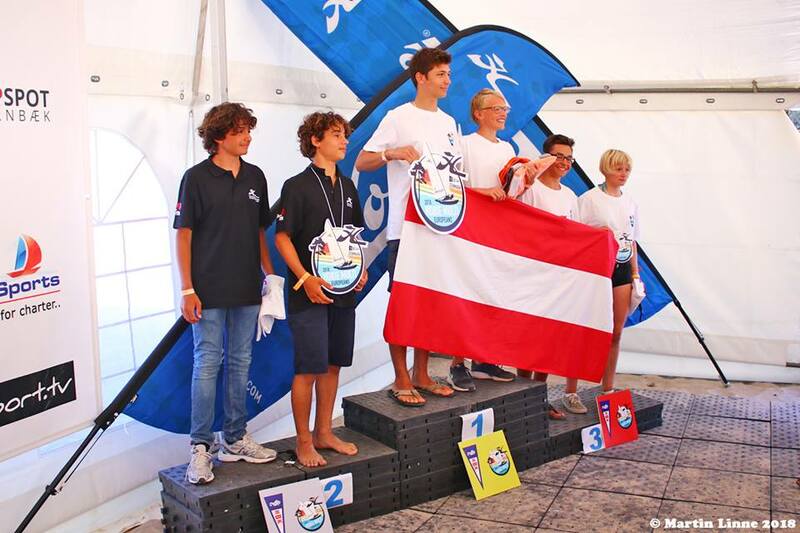 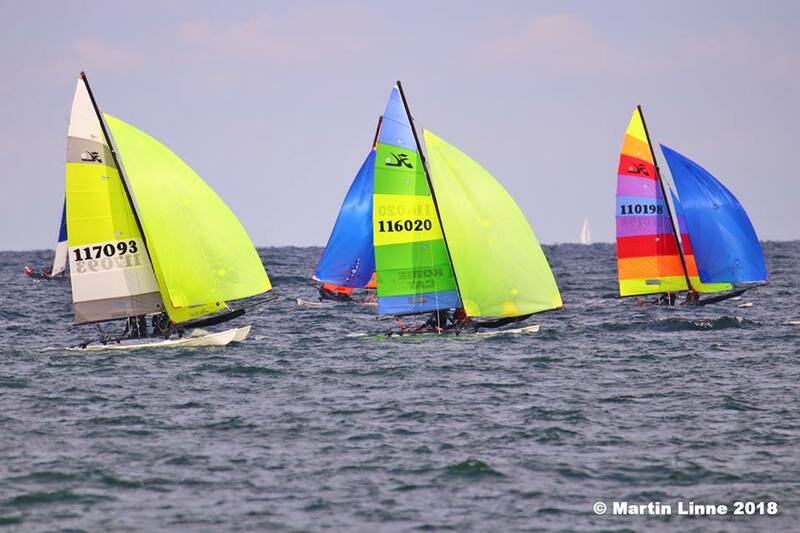 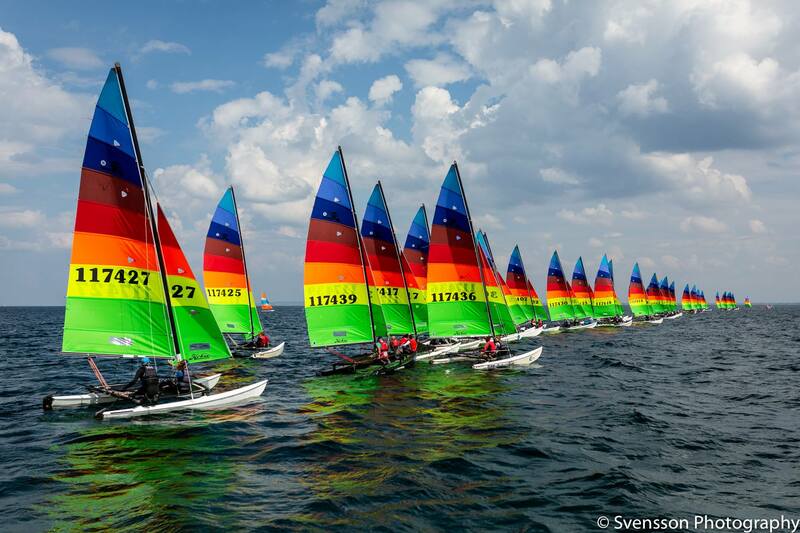 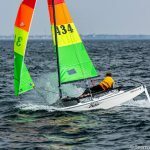 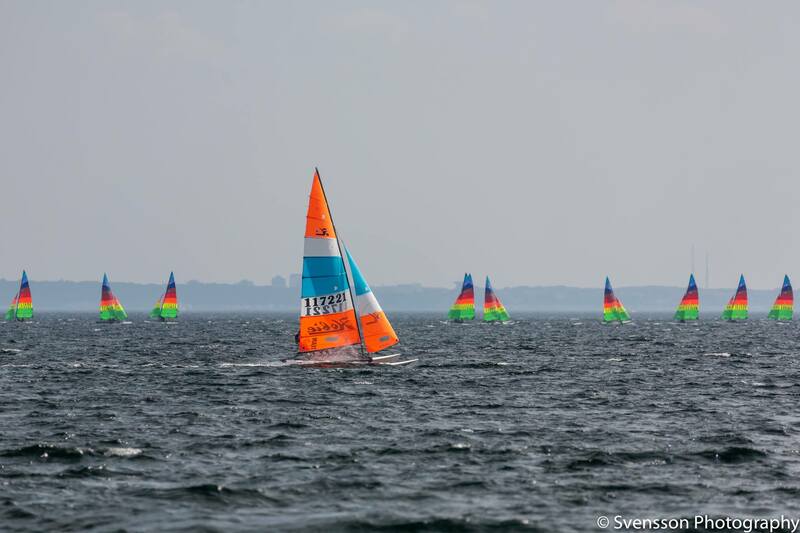 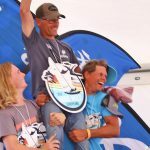 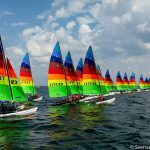 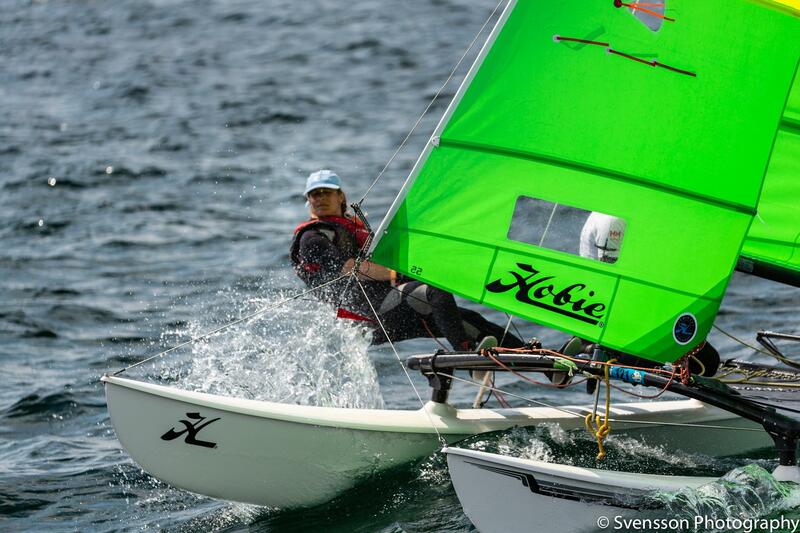 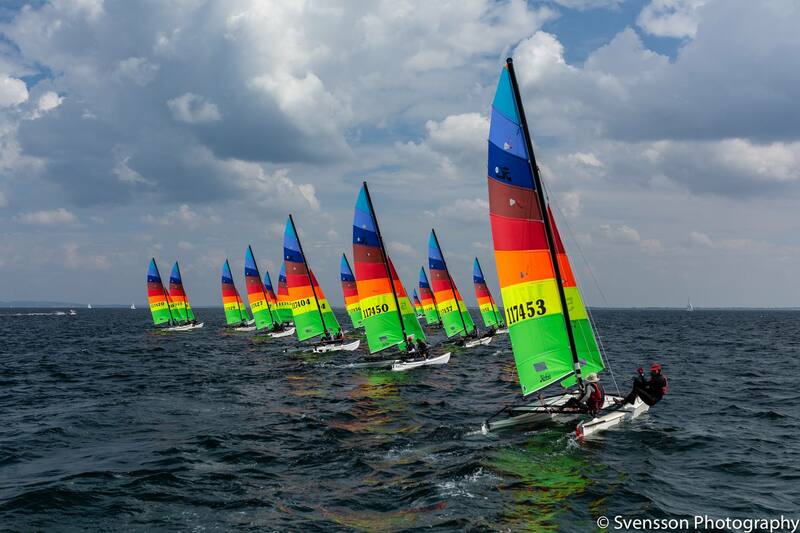 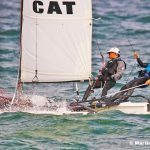 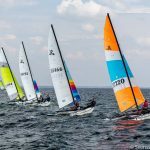 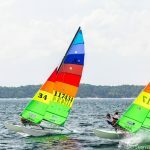 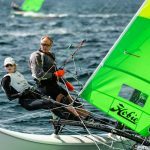 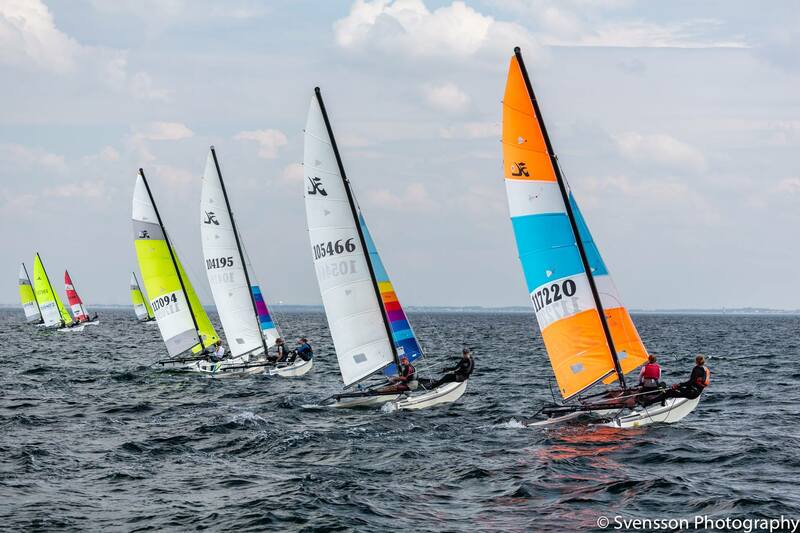 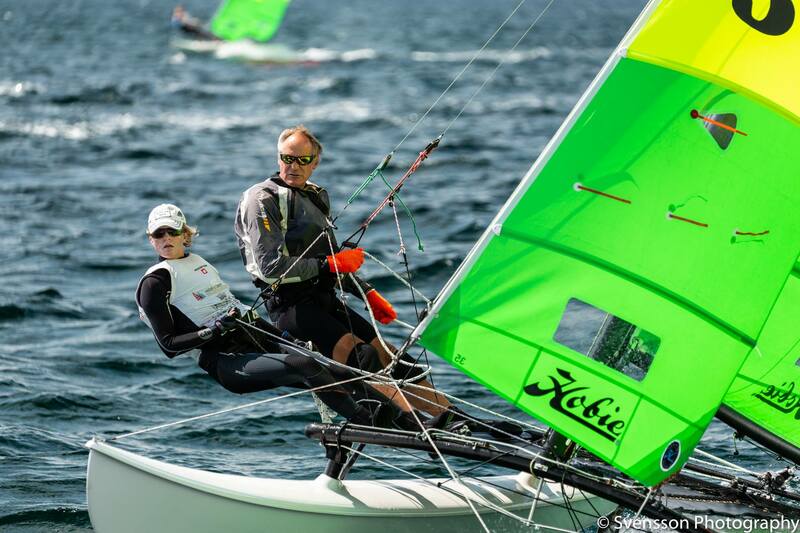 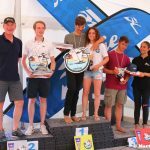 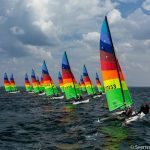 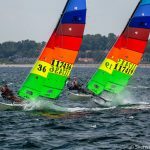 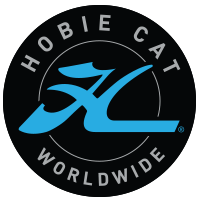 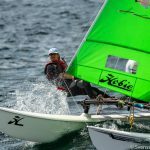 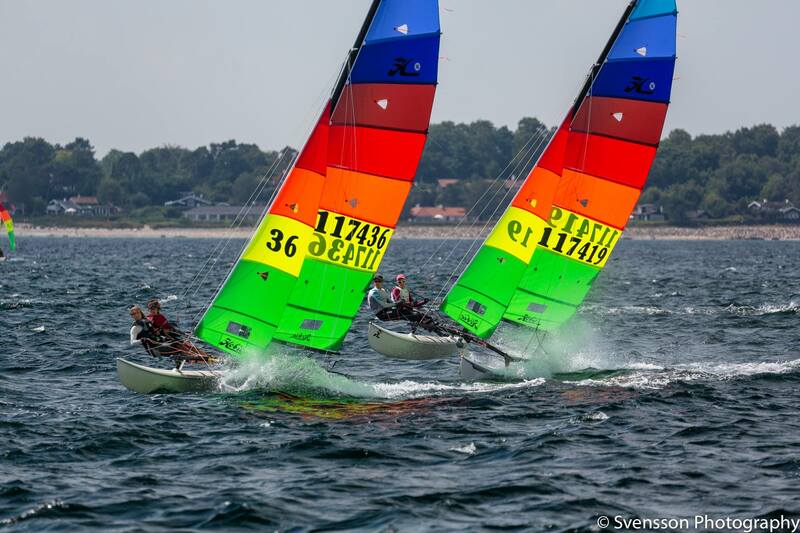 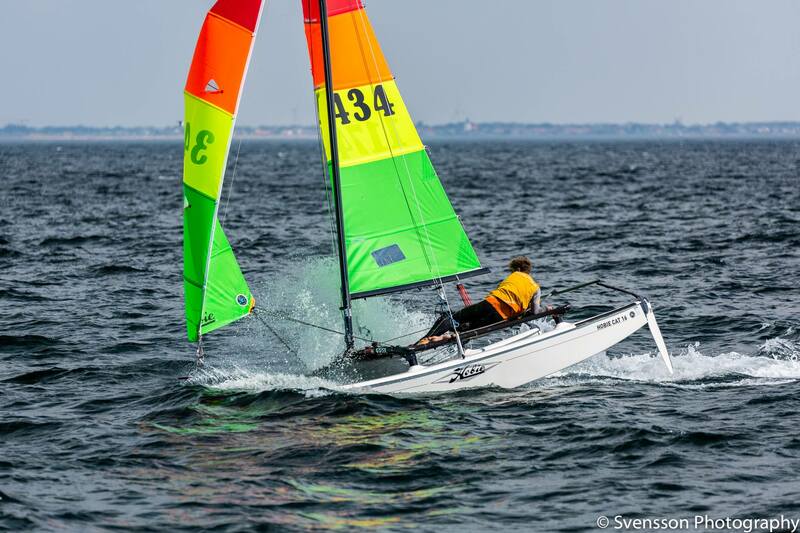 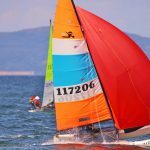 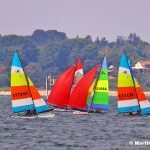 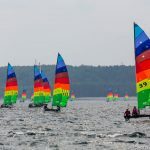 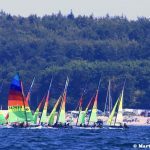 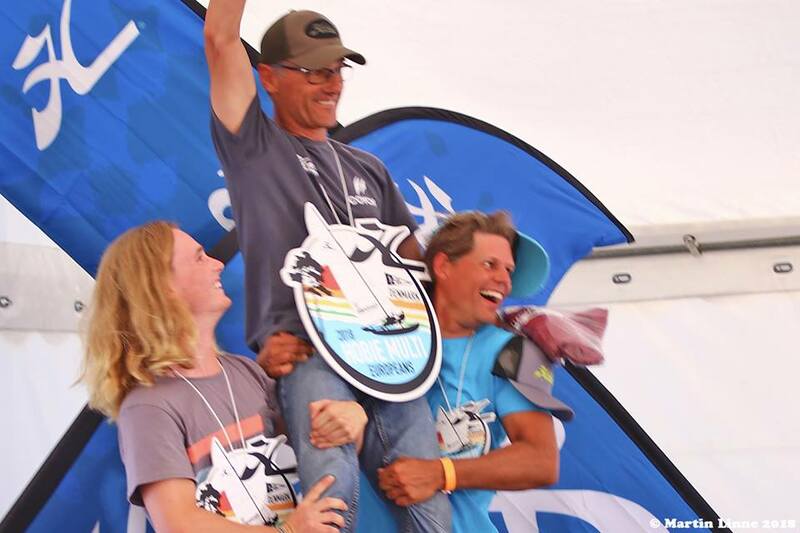 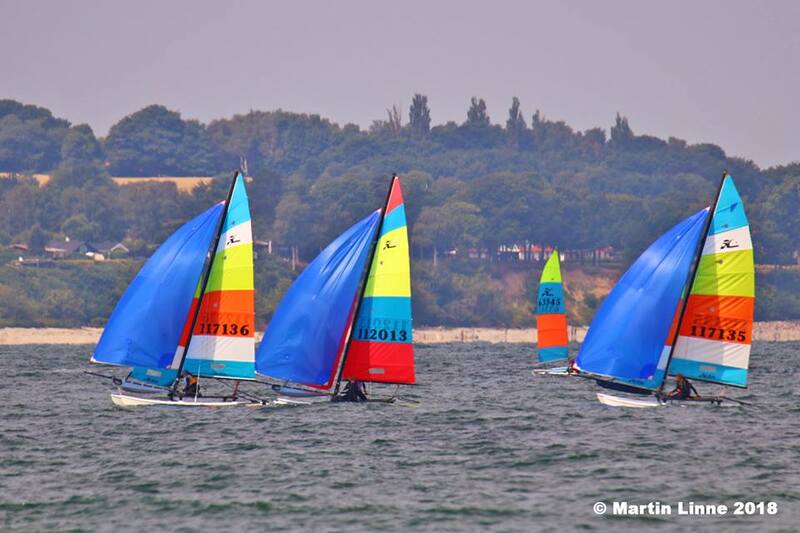 The Hobie 14 and Hobie Dragoon continued to race to be joined by the Hobie 16 Youth Spi and Hobie 16 Qualifying series. 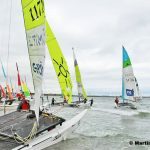 Unfortunately, the weather was against the sailors. 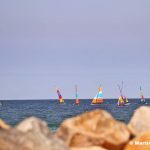 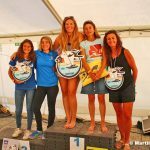 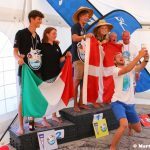 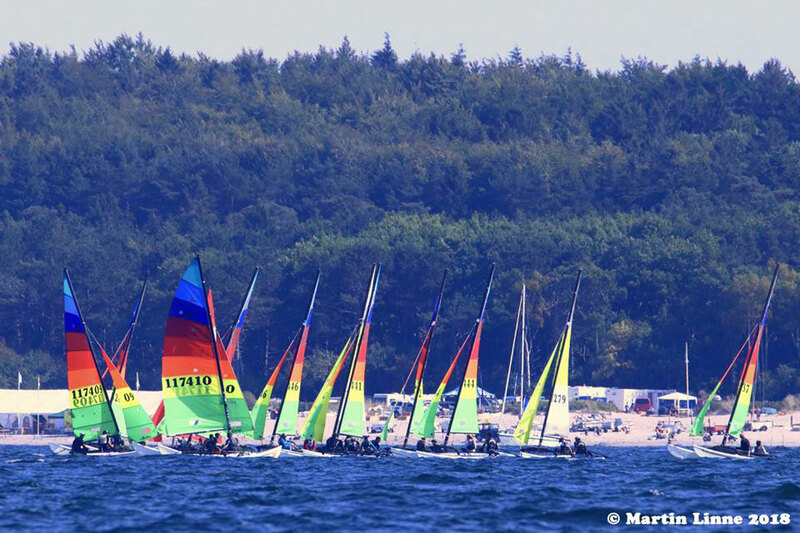 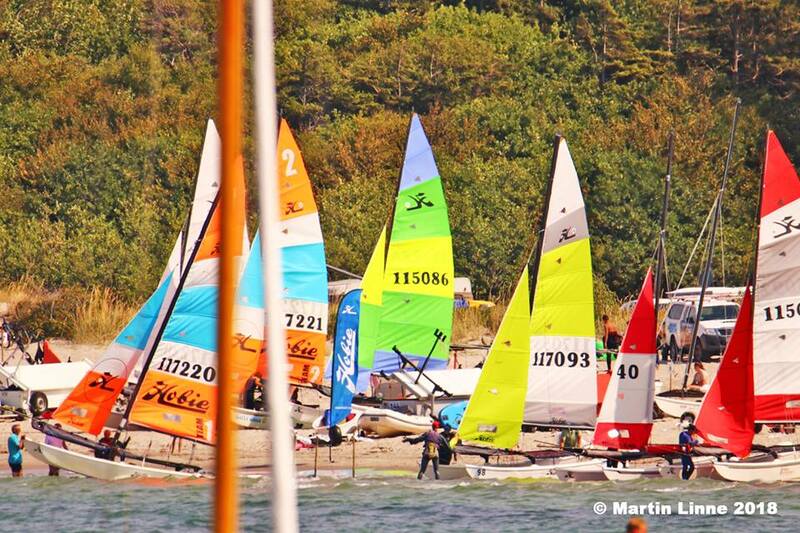 After three days of good sailing no wind materialised on the fourth day of the competition. 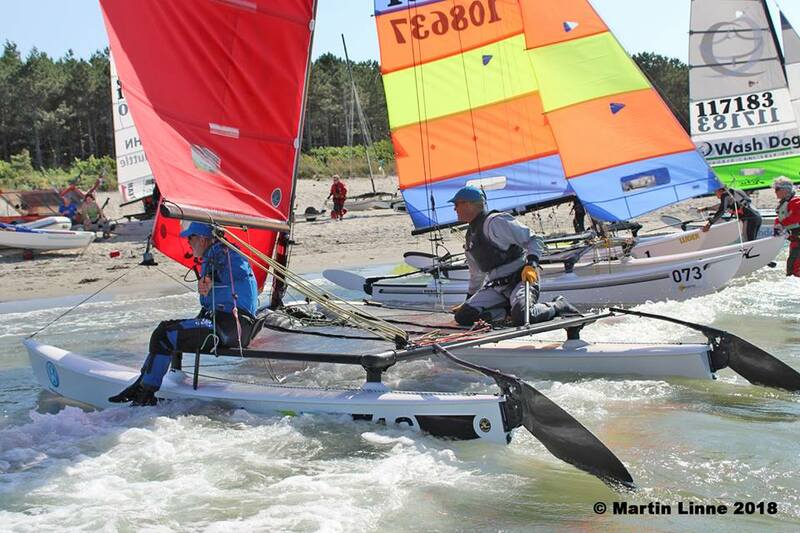 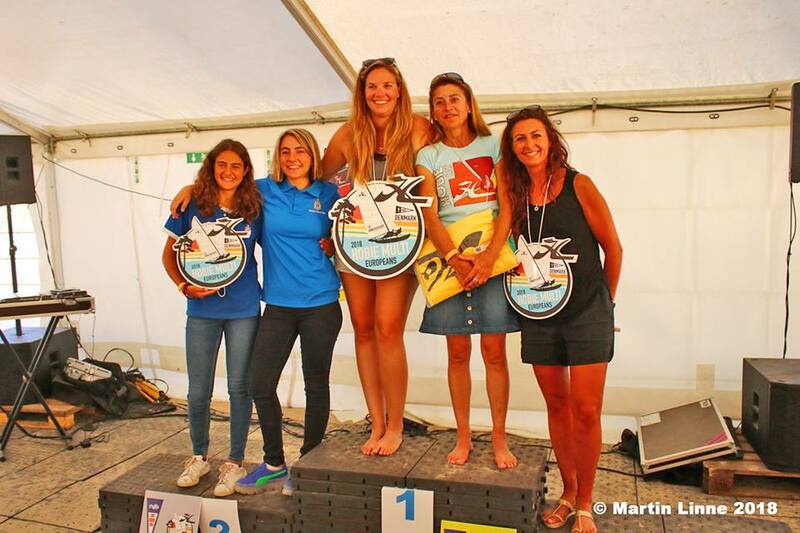 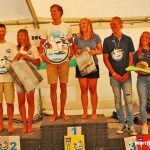 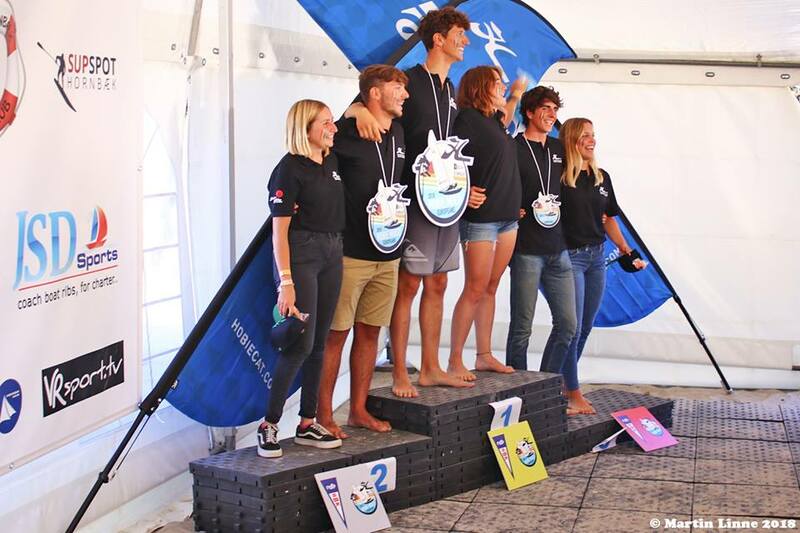 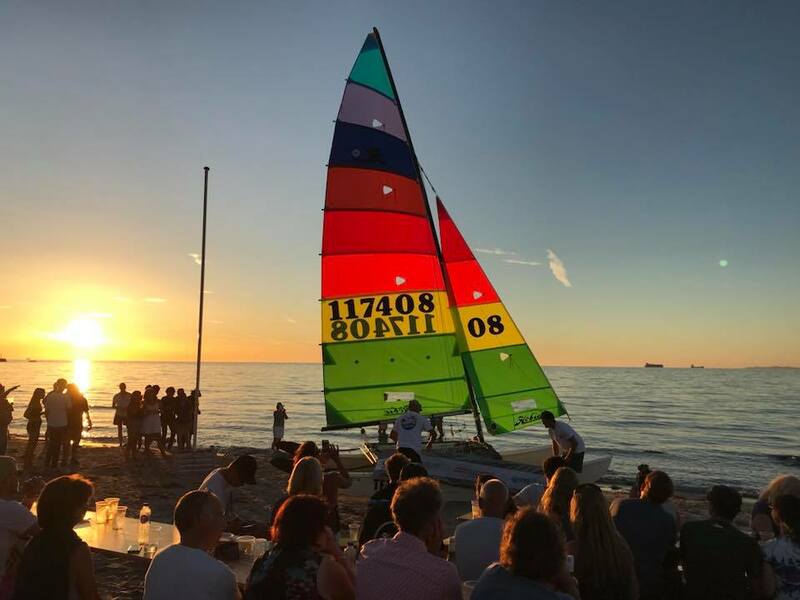 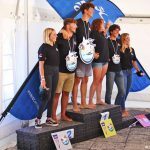 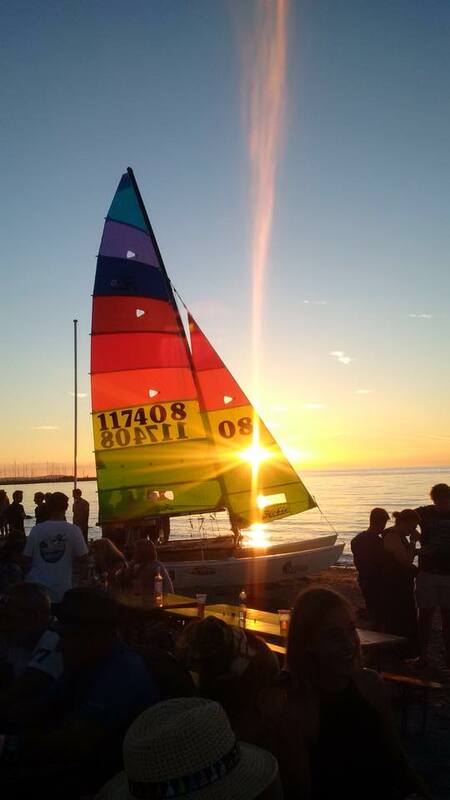 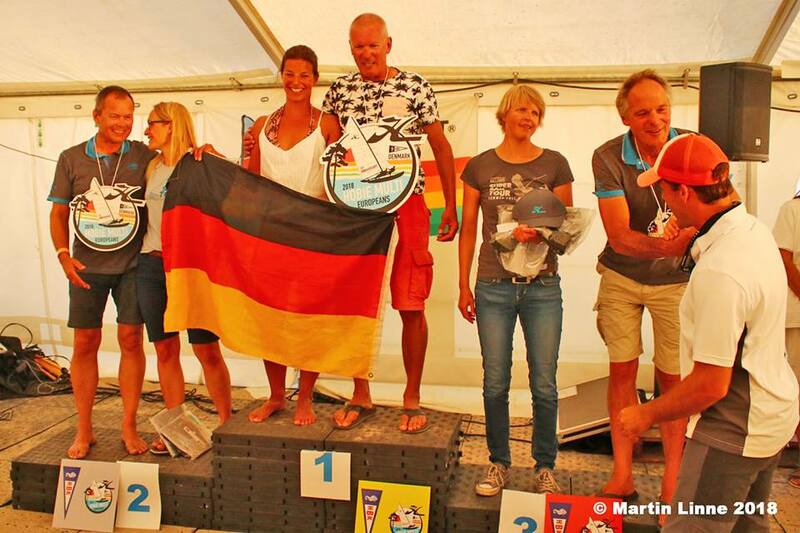 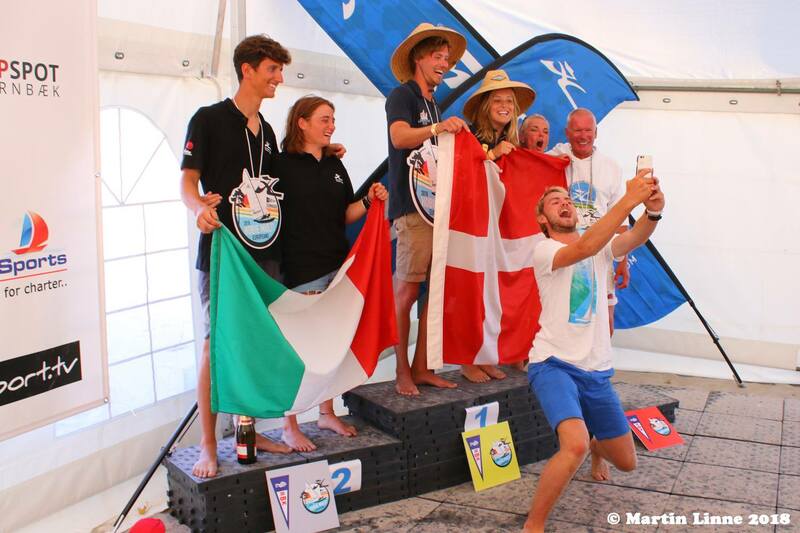 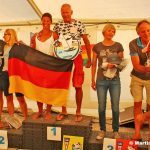 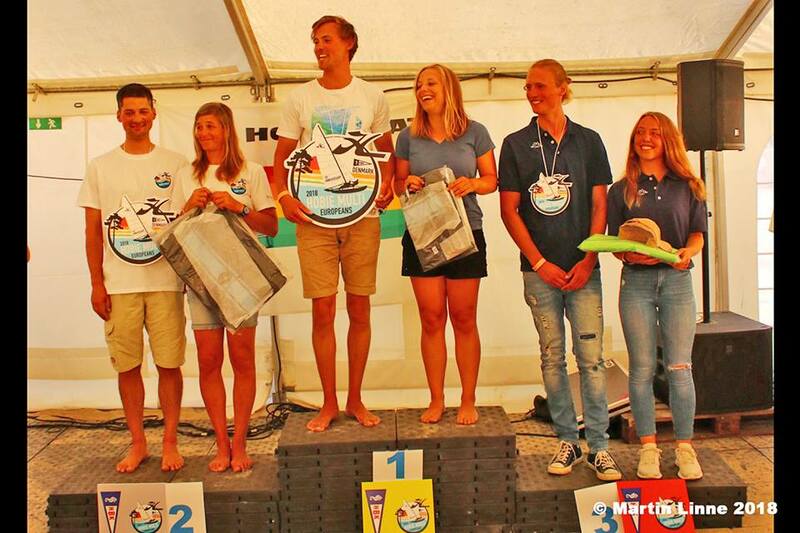 At the presentation the Hobie 16 Open sails which are supplied by Hobie Cat Europe was shown to all the sailors. 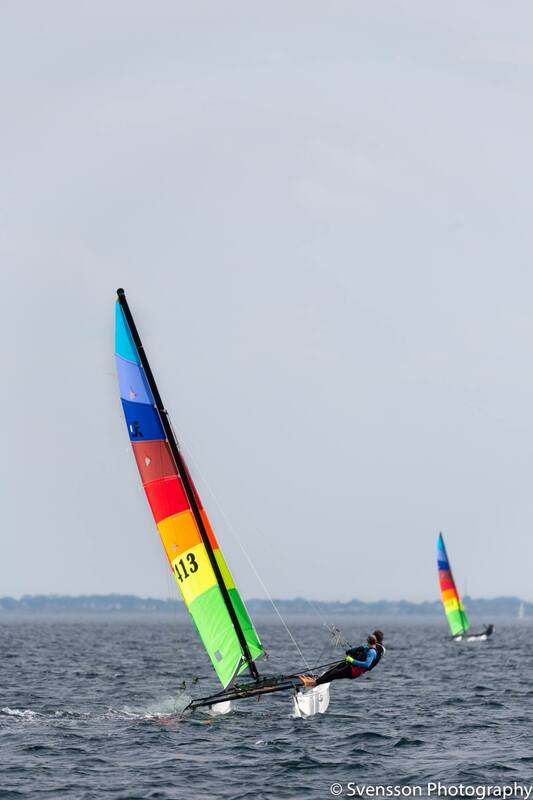 The Hobie 16 Open being raced in two fleets. 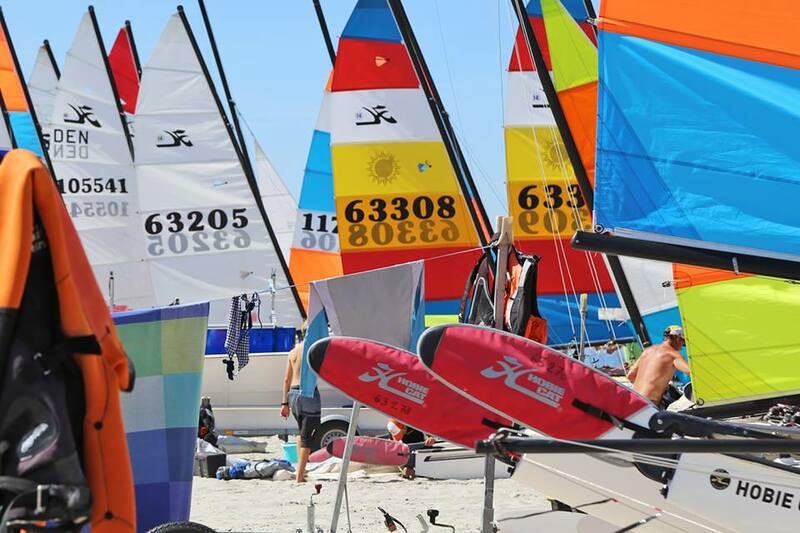 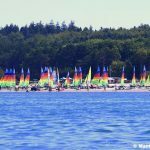 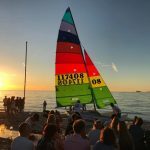 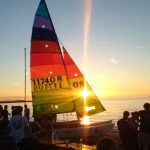 The Gold Fleet which have all new sails supplied by Hobie Cat Europe. 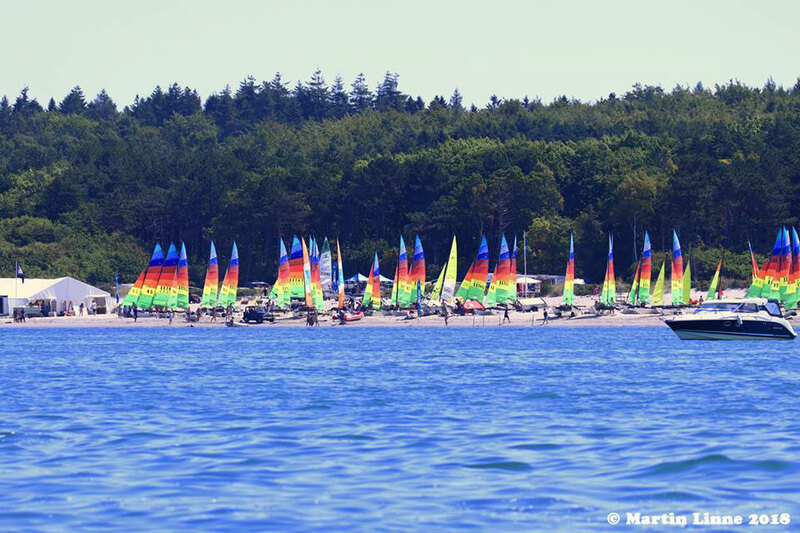 The Silver Fleet the sailors use their own sails. 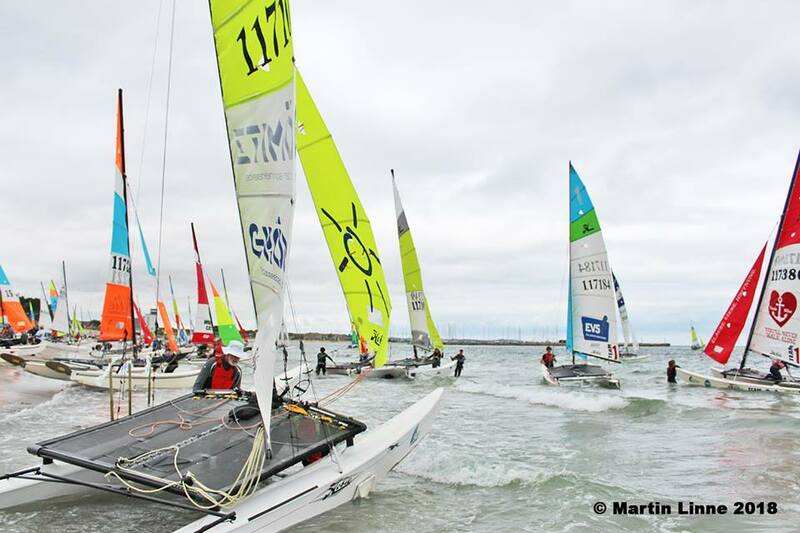 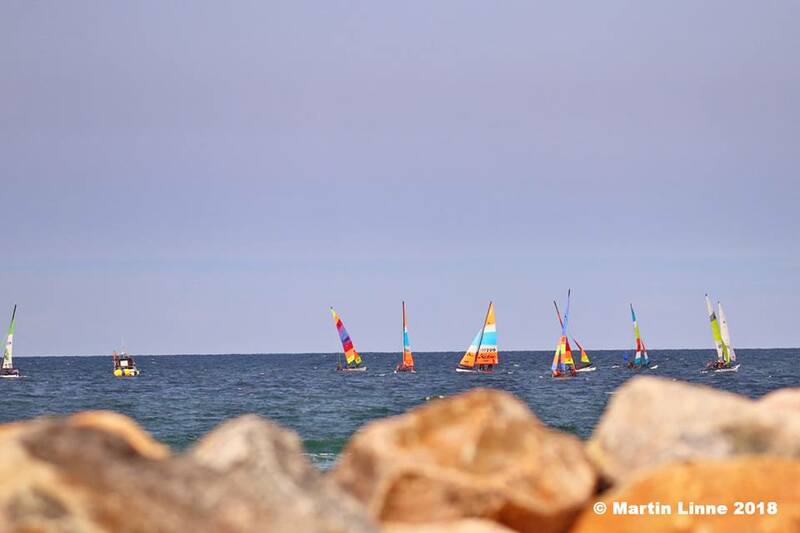 On the first day of competition only one race could be sailed due to the light unstable wind conditions. 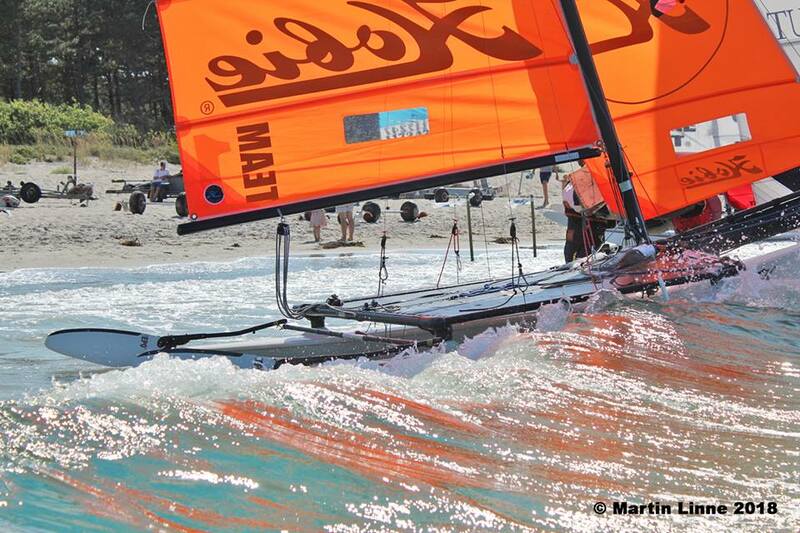 The second day the wind was light and the seas choppy. 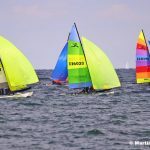 Though four races were managed to sailed for the sailors in both the Gold and Silver fleets. 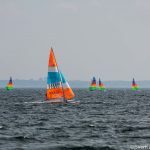 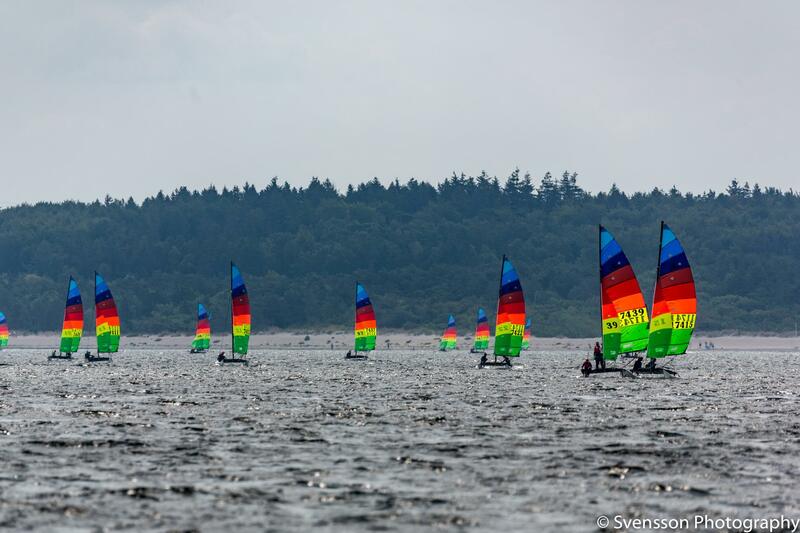 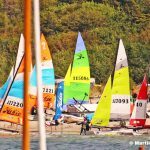 Third day of competition, there was one race as the wind was light and unstable. 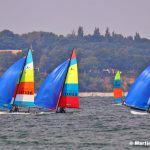 There was an attempt to start a second race but the wind wasn’t stable enough for a fair race.